Group Leader SNSF Starting Grant "PlanetsInTime"
Mollière, P. & Mordasini, C. 2012, A&A 547, A105 Deuterium burning in objects forming via the core accretion scenario. Brown dwarfs or planets? As a Privatdozent I was a member of the department of physics and astronomy at the University of Heidelberg. I taught various courses and supervised Bachelor-, Master- and PhD theses. 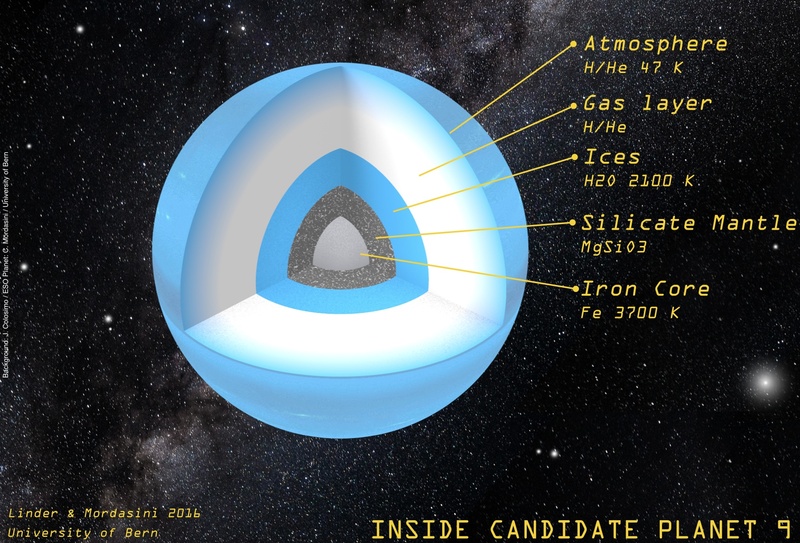 Press release of the University of Bern and the NCCR PlanetS on the Linder & Mordasini (2016) article on candidate Planet 9. Mentioned as research highlight in Nature (533, 149). 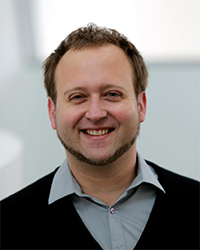 Applications are invited for a postdoctoral position in research related to (extrasolar) planets in Christoph Mordasini's "PlanetsInTime" research group at the University of Bern, Switzerland. We seek an excellent candidate in the areas of planet formation and evolution theory, in particular planetary thermodynamic and compositional evolution, internal structures, luminosities, atmospheric escape, planetary population synthesis, and the comparison of theory and observation. The University of Bern leads the network "PlanetS" of Swiss universities involved in planetary and exoplanetary science, hosts the Center of Space and Habitability, and is the leading house of the future ESA satellite CHEOPS, creating rich opportunities for collaborations. Applicants must have a PhD in (astro)physics, or expect to be awarded a PhD before starting the position. The initial appointment is for two years with a possible one-year extension. Applicants should submit a cover letter, a 3 page research statement, a publication list, and a CV to Christoph Mordasini, christoph.mordasini@space.unibe.ch. Applicants should also arrange for three letters of recommendation to be directly submitted to the same email address. Full consideration will be given to applications received by 15. February 2017. The position should be filled at the earliest possible date, and could start as early as March 2017. The successful applicant will have access to substantial expenses for travel and computing equipment, as well as access to high-performance computing facilities. Swiss postdoc salaries are extremely competitive even considering local costs of living, and are set by standard local regulations based on age and experience. The University of Bern is an equal opportunity employer, and female researchers are specially encouraged to apply. In the astroid belt between Mars and Jupiter, several types of astroids with similar orbits exist (Trojans, Greeks, Hildas, ..). In this bachelor thesis we study whether these dynamic groups form during the formation of Jupiter itself, namely at the moment when Jupiter rapidly accreted a large amount of hydrogen and helium gas to become a gas giant planet. For this, a sophisticated computer code is modified that numerically integrates the orbits of thousands of astroids under the gravitational influence of the forming Jupiter and the Sun. This not only yields a prediction about the resulting asteroid groups, but also about the enrichment of Jupiter in elements besides hydrogen and helium, because many asteroids collide with Jupiter enriching its atmosphere. These predictions are then compared with the observational data on the astroid families and Jupiter's composition. This will allow us to understand at which rate Jupiter accreted gas, and at which position this planet formed. When a star forms, not all infalling gas can directly fall onto the star because of angular momentum conservation. Instead it first falls onto a protoplanetary disk. During the main infall phase that forms the star, the mass of this disk can become so high that it becomes unstable to its own gravity. The disk then fragments into bound clumps of gas. In this batchelor thesis we investigate when such bound clumps can form and whether they are the progenitors of gaseous giant planets. We study this by simulating the formation and evolution of a disk with a numerical model. We then check when and where the simulated disk becomes unstable, and compare the resulting clumps with the observed extrasolar planets. Stars with a mass clearly smaller than the Sun are called M dwarfs. These red stars outnumber solar-like stars by about a factor 10 in the local milky way. The population of planets around these stars is however still not well known. In this work we compare the properties of planets around M dwarfs (like their occurrence rate, their mass, their distance from the star etc.) as predicted by a theoretical model of planet formation with observations that have been obtained in the past few years by the NASA Kepler satellite. This allows to find out how well our theoretical model reproduces the observations, and where it has its shortcomings.